Finished up on a 12" gong today and have a 6" gong to do yet then off to the range. Looks good T. A. Ive got some of those plates from the railroad that the rail road ties sit on and I have a bunch of those set up out in my pasture at different ranges and I also made a portable one to similar to yours. They sure r fun to shoot at and shooting at longer ranges sure helps a guy figure out wind drift and help u realize how much it can effect a bullet. 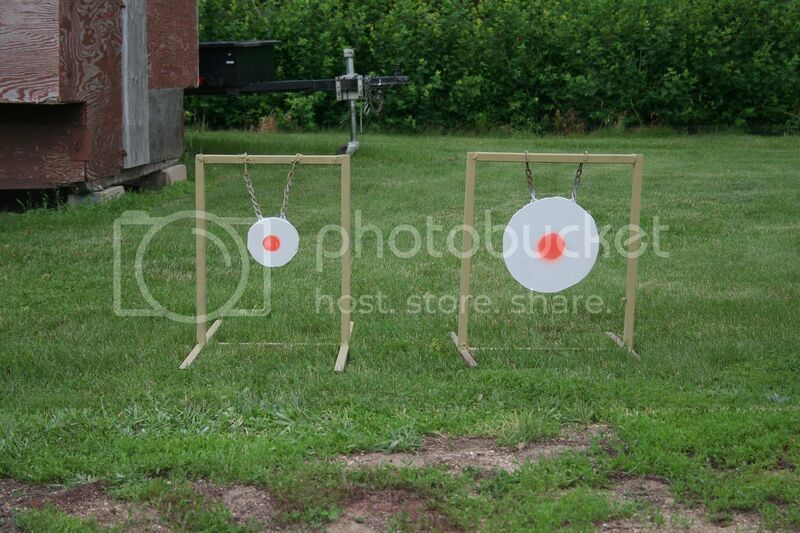 I have 4 portable gong that are 9"x 7"H and love them for long range shooting. that one looks great! I was going to use just black axle grease but I have to load them up and take home each time I'm done so I decided to paint them white with a 4" orange bulls eye and then just touch them up again with paint when done. The gongs r sweet when u here the report of the bullet hit. Try doing this with your tim I'm not sure if you have a 204 but I know u have a 17 pred. Shoot your gong with a 223 and some 50 gr vmax bullets and then shoot it with your 17 pred with what ever bullets your shooting. That 17 pred should leave some huge craters in the steel and that 223 with the vmax bullets will look like they were paint balls is all you will see is some lead on the steel. Even at 400 yds with my 204 and 35 Bergers there are some pretty impressive craters. Great post! I shot milk jugs for quite a few years but tired of picking all the plastic mess up when finished and if it was windy you had to chase them down. T.A.s photos were deleted but I am assuming he made a frame of either conduit or pipe? I built 5 out of conduit from Menards for cheap--1 conduit per stand(tripods) and bought some scrap steel and used wire for hangers. 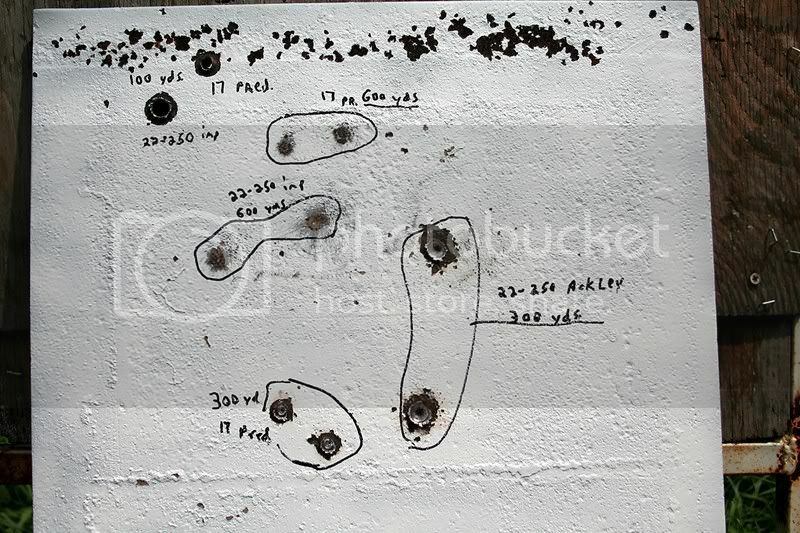 9X7 targets as stated earlier makes Wiley have a short life. here is another pic of what I made. I picked up another steel plate at work I'm going to use also, its about a inch thick or more and heavy as hell..
Tim Anderson wrote: here is another pic of what I made. I picked up another steel plate at work I'm going to use also, its about a inch thick or more and heavy as hell..
Nice work Tim, I won't post any pics of mine--they are pretty ugly by comparison. I used a tubing bender and W.A.G. system for the radius--# 12 galv wire for hangers. But they work. I think my target metal is only about 1/4 plate steel--but at 400 they hold up OK.